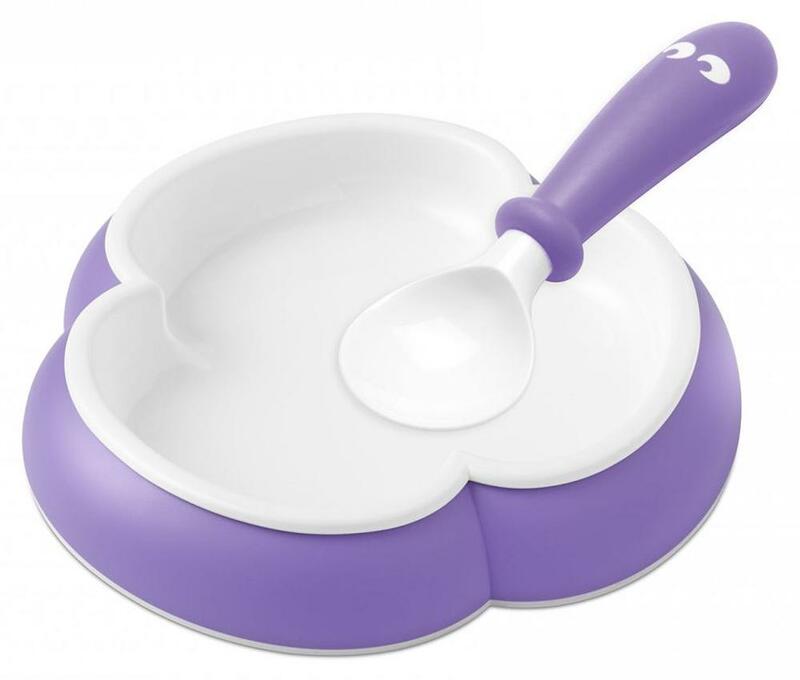 The Baby Plate and Spoon make it easier for children to eat by themselves. The plate rests firmly on the table without tipping, and the spoon's short, grip-friendly handle fits perfectly into small hands. The Baby Plate's three-leaf clover shape helps babies to scoop up the food with the spoon instead of having to chase it around the edges or across the table. The Baby Spoon is specially designed to suit the shape of the plate and can be used with either hand. The blade of the spoon is slightly raised to help nudge the food into the baby's mouth. Suitable for use from four months.